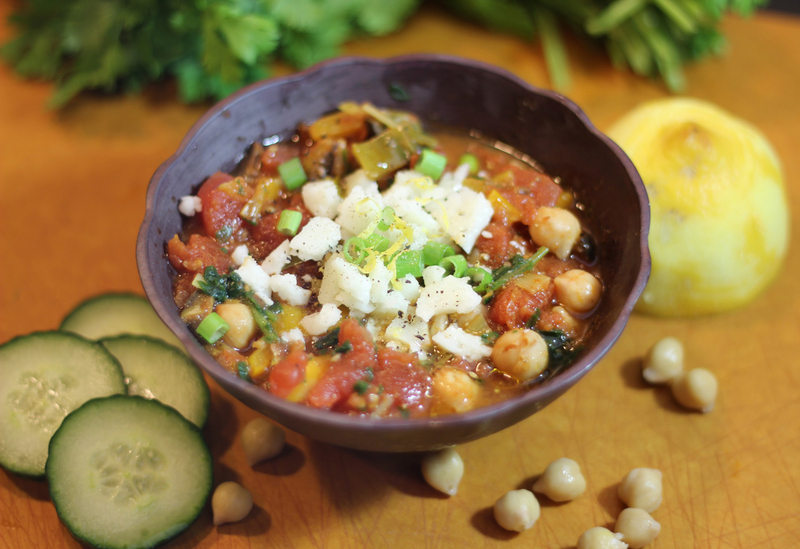 I’ve made a lot of chickpea stews in my life and this one is my favourite! There are a few things that make this low FODMAP recipe spectacular. Lemon zest is magical, the toppings give each bite a unique flavour, you can make it in less than 30 minutes and it’s full of nutrition. These little legumes, also called garbanzo beans, are considered a medium FODMAP food as they contain galacto-oligosaccharides (GOS). This means you have to be mindful of your potion size. The low FODMAP serving size according to Monash University and FODMAP Friendly is 1/4 cup or 40 grams per meal. In this dish, there is a total of 1.5 cups of chickpeas, which means that the recipe makes 6 servings. Not all chickpeas are the same however. Only canned chickpeas are considered to be low FODMAP. The process of canning chickpeas allows some of the water soluble GOSs to leach out. Therefore the FODMAP content is lower than for the dried chickpeas. Be sure to rinse your chickpeas well. A whimsical name like ‘garbanzo beans’ and their own little pods. Who knew these little beans had so much going for them? Good for you with prebiotics too! Chickpeas are rich in nutrition. They are a good source of fibre, protein, and important minerals such as calcium, iron and magnesium. Not only are they good for us, they are also a good source prebiotics which means that they feed the good bacteria in our gut. Prebiotics are important to keep our gut bacteria happy. Chickpeas are also really easy to store. They will keep in the fridge for 3-4 days and they freeze really well. Don’t skimp on toppings like feta, lemon zest, garlic infused olive oil and green onion tops. I like to serve this dish with a simple side salad made with chopped cucumber, red and/or green peppers, tomatoes, green onion tops and Kalamata olives. It also goes really well with a mixed green salad drizzled with olive oil and lemon juice. A side portion of rice or quinoa is nice as well. This recipe is really tasty and quick to make. Serve it with rice or quinoa and a side salad of chopped cucumber, red pepper, spring onions and Kalamata olives. Rinse the leeks well under running water to remove dirt. Use the green tops only. In a large skillet, heat the oil over medium heat. Add the leeks, coriander, cumin, and salt. Cook, stirring often for about 5 minutes until the leeks are soft..
Add the tomatoes, canned chickpeas (well rinsed), olives and lemon zest. Reduce the heat to medium and cook, stirring occasionally for 15 minutes. Remove from heat and stir in the spinach and lemon juice. Serve over rice or quinoa and with a side salad. Top with any combination of crumbled feta, chopped cilantro, green onion tops, garlic infused olive oil, lemon zest, ground pepper. 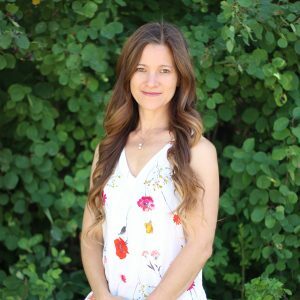 I’m a FODMAP dietitian and Certified Craving Change Practitioner based in Edmonton, Canada. I provide one on one nutrition counselling for IBS and the low FODMAP diet by phone, video call and email across Canada. I would love to help you get started on the low FODMAP diet. If you are curious, please call me or click here to schedule a free call. I’m happy to hear that you like my blog and that it loaded so quickly. It seems to take forever on my phone! Let me know if you have questions. Happy reading!